FREE until we get 100,000 downloads! ★★ #1 TOP KIDS game in France ! ★★ #2 TOP KIDS game in Italy ! ★★ #4 TOP KIDS game in China ! Slug the Bugs and punch the buggies! Hear the cars speed past you and immerse yourself in thrilling 360-degree audio. Just don't slug the cops! Ghost 3D Audio creates an unreal experience that reaches beyond your headphones. 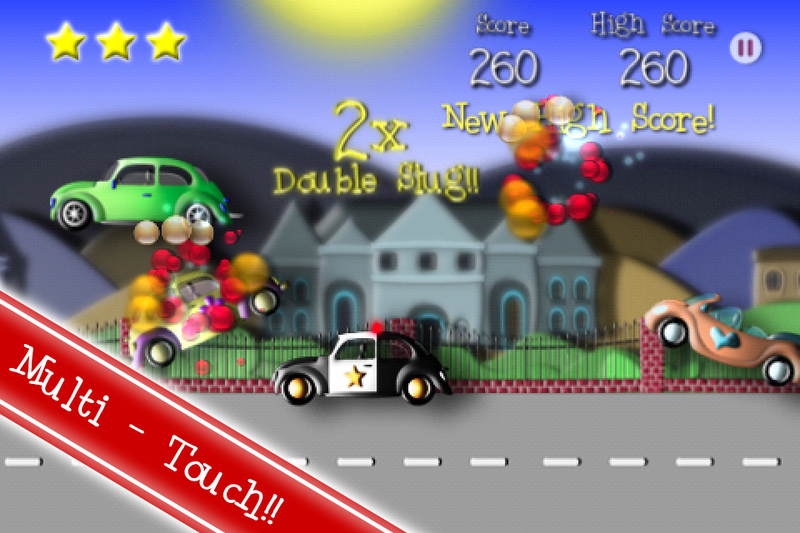 You'll get addicted to this simple, yet devilishly fast-paced game. Watch an entire town spring up as you advance through the game! Rolling hills and mansions complete the cartoon themed city so adorable, you'll want to live there. 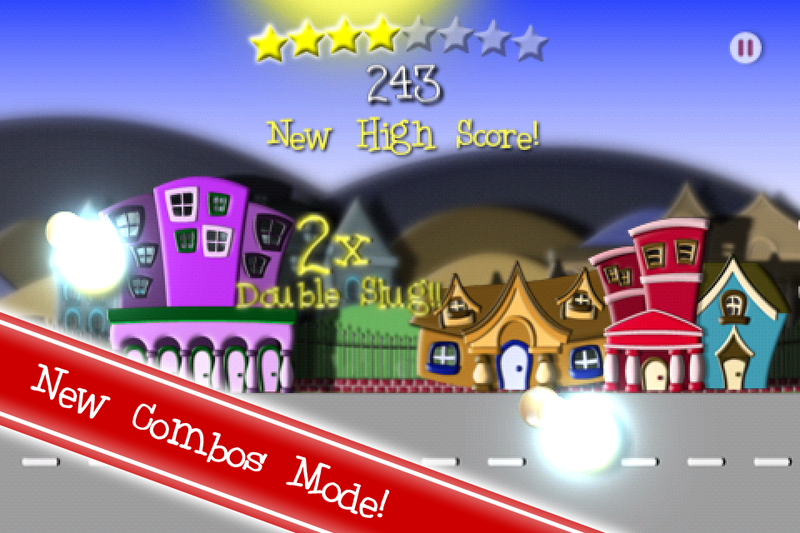 Combos Mode: Slug multiple bugs at the same time to test your coordination skills. 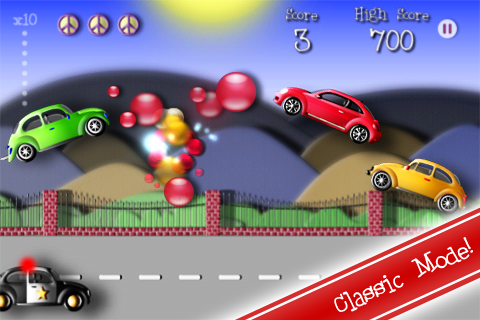 Classic Mode: An all out slug-fest where you need to keep slugging to stay alive! Kids Mode: A simpler, happier world where it's all about cruising and enjoying life. 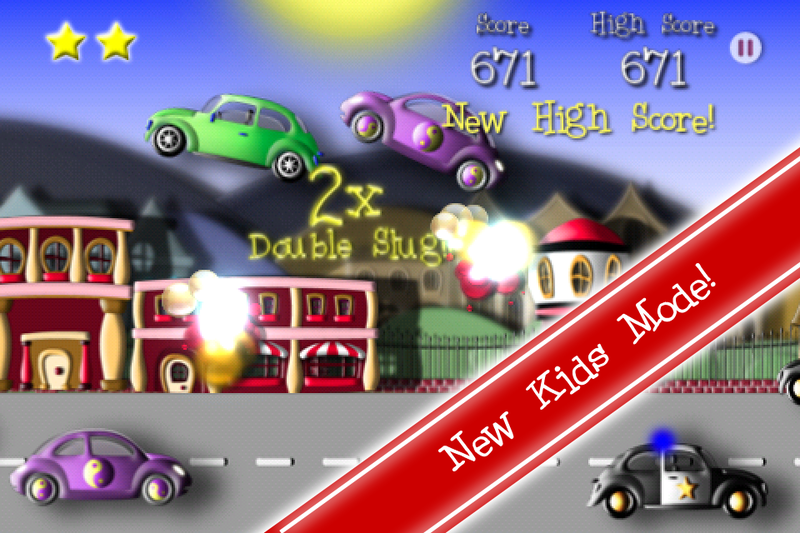 Eased up difficulty, added Combos Mode and Kids Mode. Added 3 replays per game to restart at the beginning of the level you last failed. Restructured the menus.